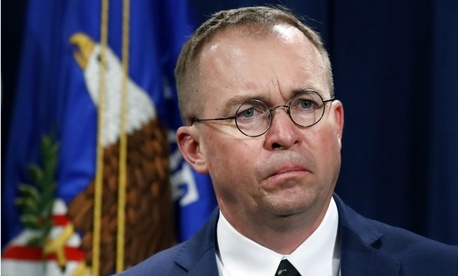 The Consumer Financial Protection Bureau on Thursday released its first enforcement highlights report under acting Director Mick Mulvaney, drawing attention to fixes made by lending companies to bring themselves into compliance with consumer law. The findings addressed automobile loan servicing, credit cards, debt collection, mortgage servicing, payday lending and small business lending largely from December 2017 to May 2018. The 22-page document reported two enforcement actions, the first against Citibank N.A., for violating the Truth in Lending Act by failing to periodically re-evaluate and reduce annual credit card percentage rates with clear written policies. The second action was taken in the form of a consent order with Triton Management Group Inc., a payday lender that operates in Alabama, Mississippi and South Carolina, for violating the Consumer Financial Protection Act and the Truth in Lending Act by failing to properly disclose finance charges associated with auto title loans in Mississippi. In the area of auto servicing activities, the report said, the bureau continues “to assess whether servicers have engaged in unfair, deceptive, or abusive acts.” Examples included examinations that identified deceptive and unfair acts or practices related to billing statements and wrongful repossessions. In addition, consumers who experienced a “total vehicle loss” and were give a new payment schedule continued to be treated as failing to make payments, with that negative information reported to credit agencies. Bartlett Naylor, financial policy advocate for Public Citizen, noted that the report included only two enforcement actions, compared with six in the report released under previous CFPB Director Richard Cordray.